She was SO happy to finally be back in her owners' arms. Employees at a Trader Joe’s in Oregon were closing up the store one night when they suddenly noticed something moving under a large line of carts. 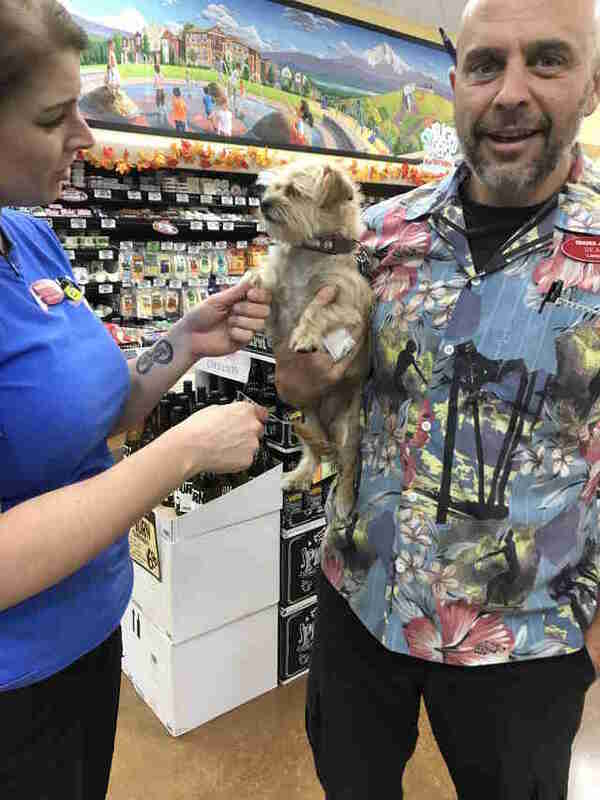 After getting a closer look, they realized it was a tiny, terrified dog, who had somehow gotten lost and found her way to their store. 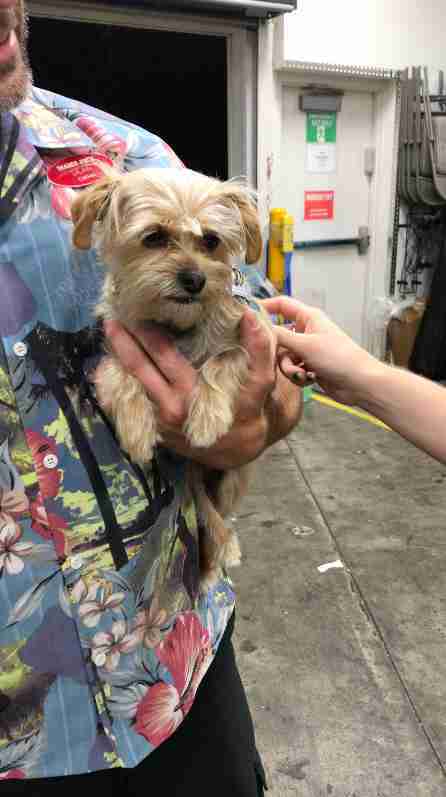 The dog, Zoe, was incredibly overwhelmed and scared, and refused to move or come out from under the carts, no matter how many people tried to coax her out. 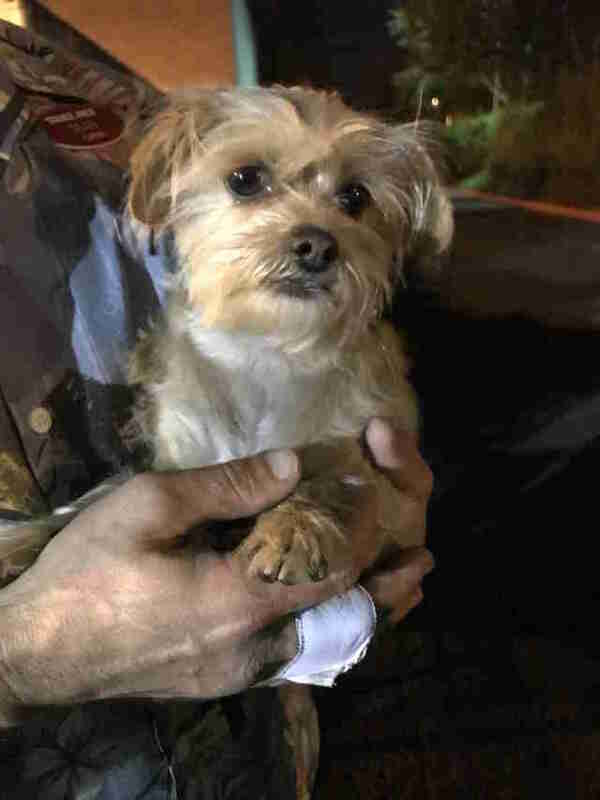 There were six employees still left closing up for the night, and every single one of them made it his or her mission to help the little dog and pull her out to safety. As soon as she was out from under the carts, Zoe began to relax a tiny bit, but was still incredibly nervous. 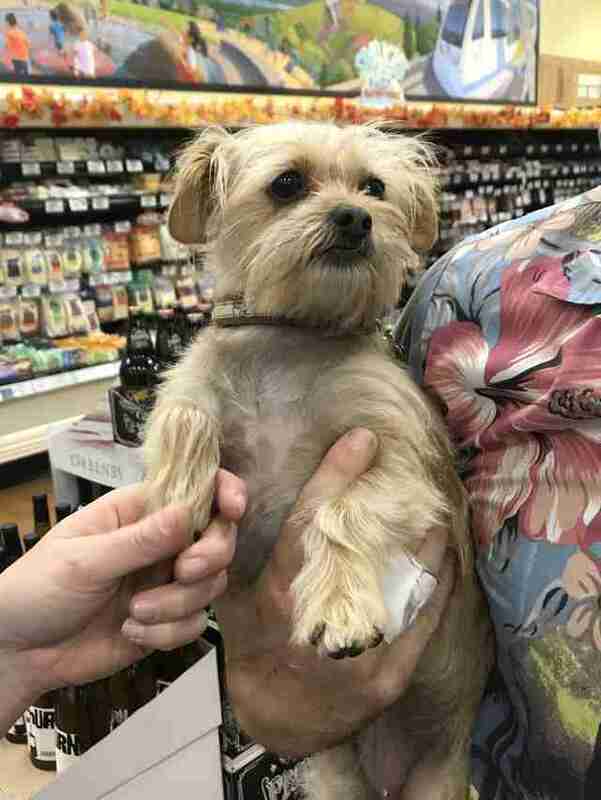 Luckily, the little dog was wearing a collar with a tag, which included her family’s phone number. The group all took turns tending to her and comforting her while someone called her parents — who answered on the first ring and were absolutely ecstatic that Zoe had been found. 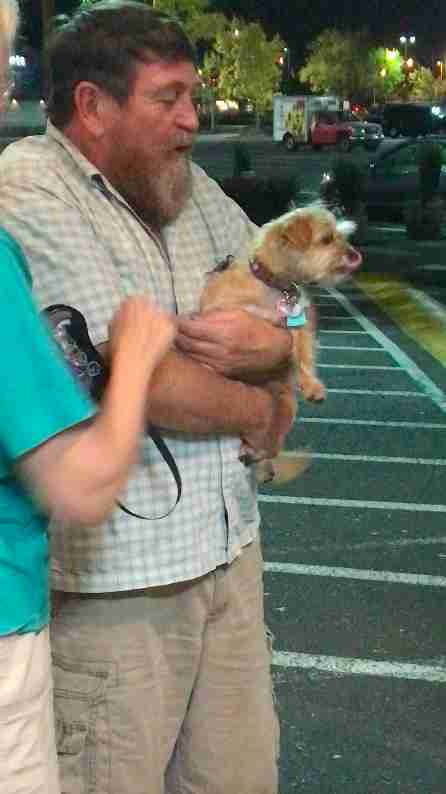 Thankfully, Zoe’s parents actually lived right nearby, and were there to pick her up in only 10 minutes. 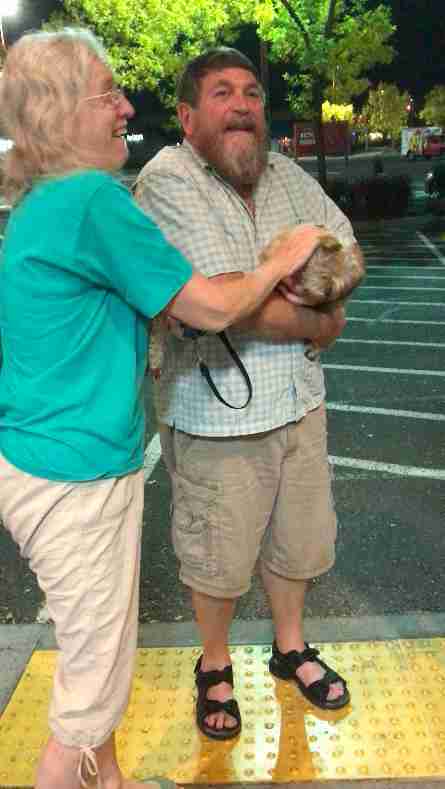 Zoe still seemed very nervous as she waited for her parents — until she spotted them walking across the parking lot. Zoe’s parents explained that they had just moved to the area, and Zoe was still a little unsure of her new environment. She’d also recently lived through a house fire, and was understandably a little jumpy and nervous from that awful ordeal. While they were unpacking some of their things, Zoe accidentally slipped out of the garage without them noticing, and when they realized she was gone, they called everyone they could possibly think of to try and find her. Luckily, Zoe was found by a whole group of wonderful people, who would stop at nothing to make sure she got home safe and sound.